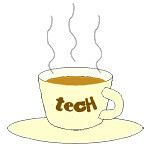 Surface « Tech bytes for tea? Microsoft launched in Singapore today the new Surface Book 2, Surface Laptop and Surface Studio. It also unveiled its first dedicated Surface Store in South East Asia – inside the Harvey Norman Millenia Walk store in Singapore. Prices below. 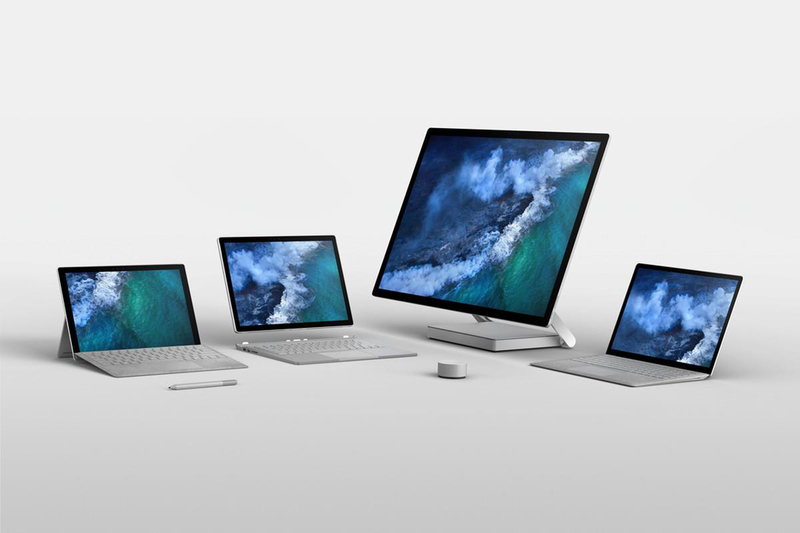 The Microsoft Surface family: (from left) Surface Pro, Surface Book 2, Surface Studio, Surface Laptop. The new Surface computers are additions to the existing Surface Pro tablet. The Surface Book 2 & Surface Studio will be available from 15 March, while the Surface Pro & Surface Laptop are available now. 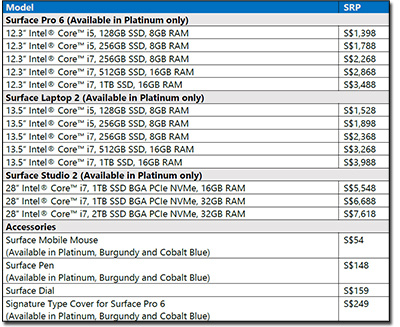 Prices and configurations of the new Surface devices in Singapore are listed below. 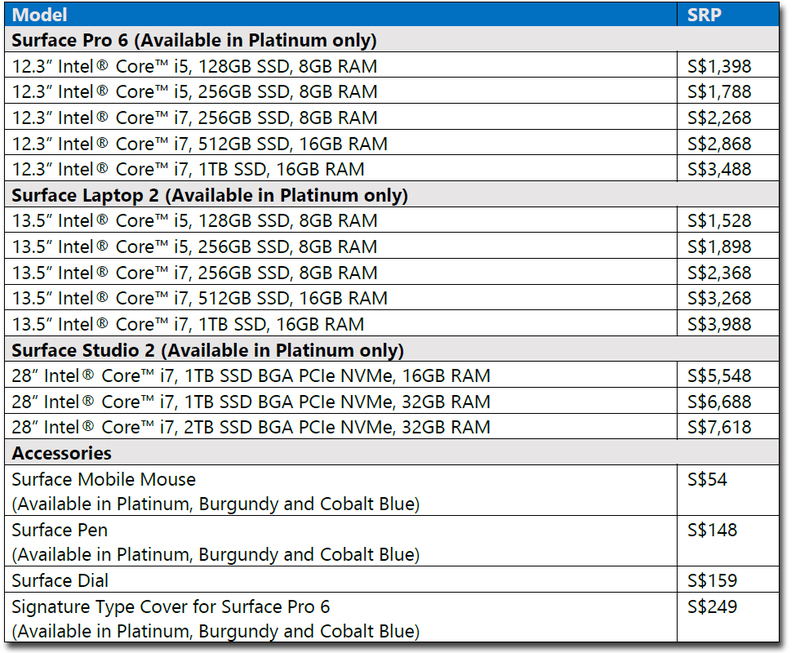 Here are the local pricing, availability and promotions for the new Microsoft Surface Pro 3 tablet in Singapore. Prices start from S$1,108 with availability expected before the end of August 2014. Microsoft has just announced that the Surface Pro 3 will be available for purchase at retail outlets and commercial resellers on 28 August in Singapore. Customers can pre-orders for Surface Pro 3 now at the Microsoft Store online, as well as at authorized retailers Challenger, Newstead and Harvey Norman. The Microsoft Suface Pro 3 tablet is now available for pre-order online now. The Microsoft Surface Pro 3 was unveiled last month in New York City. Here are the tech specs for the Windows tablet that promises to be a replacement for laptops and is targeted for both personal and business use. Surface Pro Type Cover features a double-fold hinge enabling you to magnetically lock it to the display’s lower bezel. Here are the technical specifications for the key features for the new Microsoft Surface Pro 3 tablet that was unveiled in New York City on last week. Here are the local pricing, promotions and availability for the tablet in Singapore. Surface Pro 3 is available with an Intel Core i3, i5 or i7 processor with up to 512 GB of storage and up to 8 GB of RAM. The new tablet is positioned as a laptop replacement and is targeting both consumers for personal use as well as enterprises for business use. 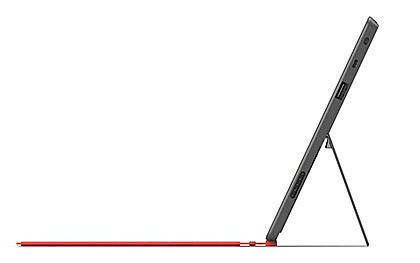 The Microsoft Surface Pro 3 tablet features a more adjustable, continuous kickstand than its predecessors. BMW Group, the Coca-Cola Company and LVMH Group have already committed to deploying Surface Pro 3 in their respective organisations, using the tablet in a business environment. Tech specs for the Microsoft Surface Pro 3 below. The new Surface Pro 3 is targeted to replace your laptop and ships with a 12-inch ClearType Full HD display, 4th-generation Intel Core processor and up to 8 GB of RAM in a sleek frame — just 9.1mm thin and 800g. Likely to be available in Singapore in August from S$1,100. The local pricing, availability and promotions for the Microsoft Surface Pro 3 tablet in Singapore has been released. Prices start from S$1,108 with availability expected before the end of August 2014. The new model for the Surface family was unveiled in New York City and boasts up to nine hours of Web-browsing battery life, promising the power, performance and mobility of a laptop in a lightweight, versatile form. Here are the tech specs for the Microsoft Surface Pro 3. Replace your laptop. 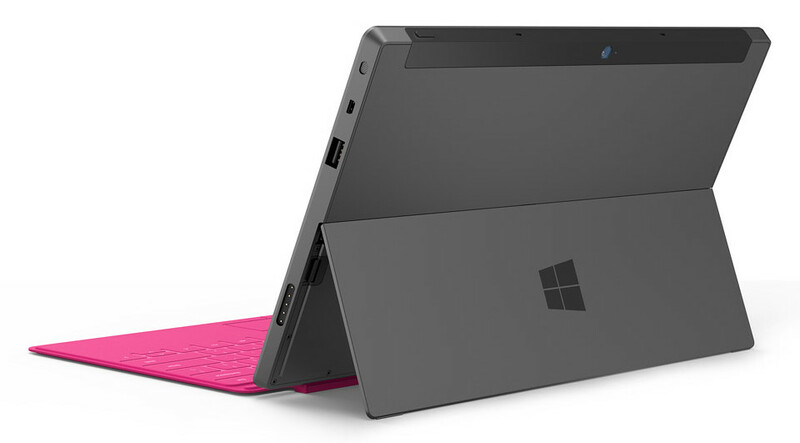 Surface Pro 3 transforms from tablet to laptop and back with the optional Surface Pro Type Cover and Docking Station. Prop Surface Pro 3 and Surface Pro Type Cover up on your lap to type on the go, flip the cover back and use Surface Pro 3 like a tablet. Connect Surface Pro 3 to the docking station to create a powerful desktop rig. Power and performance. Option of three different 4th-generation Intel Core processor models and packing up to 8 GB of RAM – Surface Pro 3 can be used for work and business. Write, draw and create. Surface Pro 3 includes the Surface Pen that is pressure-sensitive and precise, for creative drawing and note-taking. Surface Pen makes it easy to mark presentations, PDFs and documents just like you would on paper. Cameras. Features two 1080p HD video cameras, 5MP rear- and front-facing cameras, capturing image stills or video chatting is easy and beautiful. Software. Surface Pro 3 is compatible with Windows software, including Microsoft Office.With Windows 8.1 Pro, you can download apps from the Windows Store and use them side by side with Snap View, or load custom line-of-business apps for your workforce. With immediate effect, Microsoft is cutting the prices of its Surface RT tablets worldwide. Local and US price revisions within. Surface Pro prices remain unchanged. Surface is the first computer made and directly sold by Microsoft. According to research house IDC, the device has been largely shunned by consumers and corporate customers since its debut in October, selling just 900,000 units in each of its first two quarter on the market. “Microsoft is cutting the price of its Surface RT tablet by as much as 30 percent as the device struggles to lure customers amid competition from machines such as Apple’s iPad”, according to a report from Bloomberg. The foray by Microsoft CEO Steve Ballmer into selling hardware is amidst a worldwide decline in sales of personal computer and demand for Windows. Only last week, Ballmer had unveiled a significant reorganisation intended to streamline management and increase growth in areas such as tablets and mobile computing. IDC predicts that tablets will outsell PCs by 2015. Currently, 3.7% of tablets run Microsoft Windows operating system. In Singapore, the price reductions (from Microsoft Singapore) are around 19-27% and are highlighted in red below. The Surface Pro is now available – with 64GB ($1,198) or 128GB ($1,328) – at Challenger, Harvey Norman and Newstead stores in Singapore, as well as the PC Show 2013. Launch promotions within. Microsoft Surface Pro tablet joins the Surface RT in Singapore. 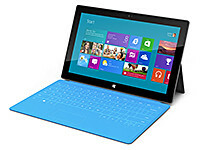 Surface Pro offers both the capabilities of a PC and the portability of a tablet. With Surface Pro, users can do whatever can be done on a PC, such as running desktop applications, and enjoy the protection of safety and security software. 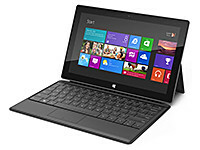 Microsoft Surface Pro tablet with in-built kick-stand. Like the Surface RT tablet, Surface Pro also comes with the integrated Kickstand and Touch and Type Cover keyboards. A pen provides note-taking capabilities and precise navigation. Singapore is the first South East Asia market to launch the Microsoft Surface RT tablet computer. Both the 32GB (S$668) and 64GB (S$798) versions are now available in Singapore at 20 Challenger stores. Price list within. Microsoft Surface RT tablet has just been launched in Singapore. Microsoft describes the Surface RT as “a tablet with some laptop capabilities”. One big selling point is that the tablet ships with Microsoft Office Home & Student 2013 RT – which includes Word, Excel, PowerPoint and OneNote. Physically, the Surface RT feels light at 680g and is only 9.4mm thin (275 x 172 mm in size). Integrated kick-stand to prop the tablet up in landscape mode. 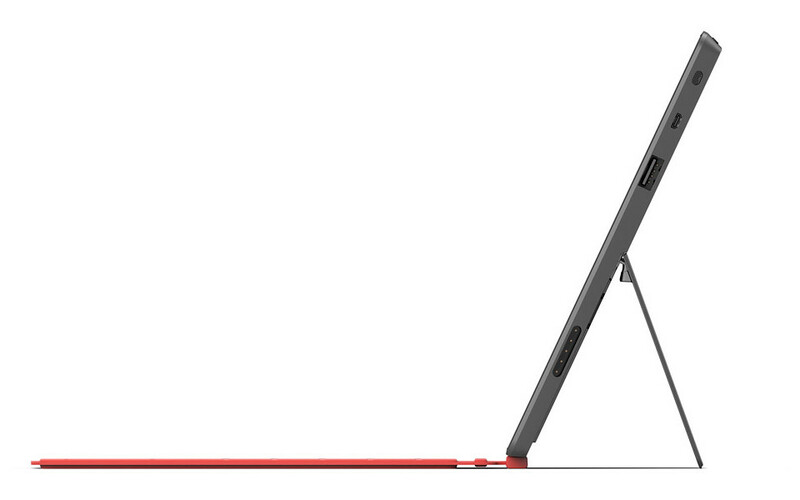 There is an integrated kickstand that folds out behind the tablet – allowing it to stand in landscape orientation. Unfortunately, the stand doesn’t work in portrait orientation so you’ll have to hold it with your hands instead. The keyboard doubles up as a cover to protect the 16:9 widescreen high-definition display (10.6-inch ClearType HD touchscreen display with 1366 x 768 pixels). Two types of keyboard covers are available – a 3mm-thick Touch Cover for gesture-based touch typing or a 5mm-thick Type cover with traditional moving keys. It was easy to attach and separate the keyboard/cover from the tablet. Simply pull the magnetic connectors apart or put the edges close to each other for the connectors to snap in place. There is a full-sized USB port and microSDXC card slot for additional storage. The Surface RT runs on a Quad-core NVIDIA Tegra 3 CPU with 2GB RAM. The Touch Cover is really thin at 3mm. It runs Windows RT and works exclusively with apps available in the Windows Store. What this means is that don’t expect any software written for the full Windows OS (Windows 8, Windows 7, Vista, XP etc) to run on the tablet. Challenger is the sole launch retailer for the Surface RT in Singapore. I call it N Wow! Microsoft Singapore demonstrated how it has transited from a traditional fixed-room-and-desk office layout, to a Starbucks-style working environment where employees can work at ANY available desk in its six floors of office space at One Marina Boulevard in Singapore. No more assigned desks. Click to enlarge to see more of the new way of work. What happens to the personal paraphernalia that adorn the typical office cubicle or room? Well each employee, including Managing Director Jessica Tan, gets a locker to store their personal effects. Each desk comes with power-sockets, a wireless mouse and keyboard, and a Samsung monitor that comes with a privacy screen. Nothing else – not even a phone. A single cable from the monitor plugs into the employee’s laptop. In addition to connecting the display to the monitor, the same cable also provides Internet connection to the laptop, as well as control over the wireless mouse and keyboard. Every floor has a “landing area” at the entrance – a convenient rendezvous point. Why isn’t there a phone? Employees rely on Microsoft’s Lync telephony and collaboration solution which allows them to communicate using the Internet. It is now as easy to work from home as it is to work in the office. Yet more employees prefer to come physically to the office than to work from home – because of the more open and spontaneous collaborative environment the revamp has facilitated. For a start, there’re no walls and cubicles between employees. Workers can choose a private booth to dock-in if they really need to work on or discuss about something really confidential. But by-and-large, most work in the open, at one of the docking desks. Overview of rooms and workstations. Reminiscent of Metro UI? Microsoft Singapore invited the regional media to walk around their operational offices to see this concept live. I suppose this is Microsoft’s way of demonstrating how their technology can help enterprises and businesses adapt to the latest trends of work, where people tend to collaborate more in the course of work. Instead of a concept demo, Microsoft is showing how they walk the talk – in fact, they’ve been working this concept in Amsterdam for the past five years..
And it was an impressive walkabout – to see what many organisations have only talked or dreamed about. Samsung SUR40Pixelsense. Seen at Microsoft Technology Centre at One Marina Boulevard in Singapore. Microsoft has unveiled two 10.6-inch Windows tablets and accessories. One model will run on Windows RT and will be released with the general availability of Windows 8. The other tablet will be available about 90 days after and feature Windows 8 Pro. Microsoft has announced that beginning late March the rollout of Surface will continue over the next few months. Surface RT with Windows RT will reach Japan, Mexico, New Zealand, Russia, Singapore and Taiwan. 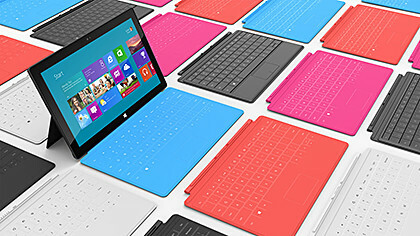 Surface Pro with Windows 8 Pro will hit Australia, China, France, Germany, Hong Kong, New Zealand and the United Kingdom. Microsoft’s Steven Sinofsky has just announced at its annual sales meeting that customers will be able to get Windows 8 on 26 October, 2012. This will be available both as an upgrade or on a new PC. Microsoft finally joins the fray by unveiling its 10.6-inch Surface tablets. The Windows RT Surface tablet will run on an ARM processor, while the Windows 8 Pro version will have a third-generation Intel Core processor. The Touch Cover and Type Cover double up as keyboards. Each Surface tablet will have a full-sized USB port, a microSD slot, and a 16:9 aspect ratio; with edges angled at 22 degrees. The casing of Surface is created using VaporMg (pronounced Vapor-Mag), where metal and deposit particles are molded to create a finish akin to luxury watches. Starting with magnesium, parts can be molded as thin as .65 mm, thinner than the typical credit card, to create a product that is thin, light and rigid/strong. 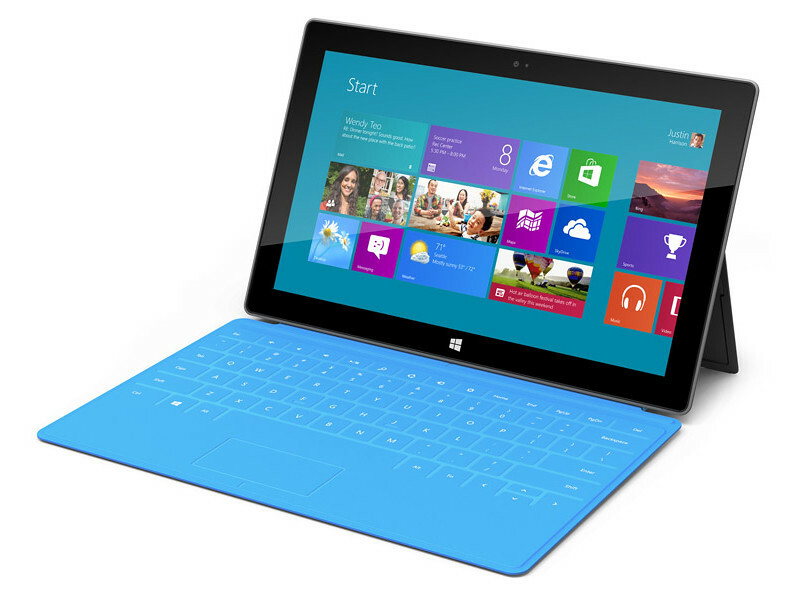 The VaporMg materials and processes has enabled the thin and sleek design of the Surface tablets. This also enables an extremely thin built-in kickstand to prop the tablet up when watching movies or video conferencing with the HD front- or rear-facing video cameras. The integrated, built-in kickstand removes the need for a separate accessory. I like the idea and design of this integrated kickstand. To transform the tablet into a “notebook”, a 3 mm Touch Cover uses pressure-sensitive technology to sense keystrokes as gestures, allowing users to touch type significantly faster than on an on-screen keyboard. The Touch Cover will be available in a selection of vibrant colors. It clicks into the Surface tablet via a built-in magnetic connector, forming a natural spine like you find on a book, and doubles up as a protective cover. The Touch Cover and Type Cover comes in many vibrant colours. Alternatively, users can click in a 5 mm-thin Type Cover that adds moving keys for a more traditional typing feel. Retail pricing will be announced closer to availability but is expected to be competitive with a comparable ARM tablet or Intel Ultrabook-class PC. OEMs will have cost and feature parity on Windows 8 and Windows RT. Oh and if you’re interested in a 40-inch tablet, check out the Samsung SUR40 for Microsoft Surface. (I haven’t heard anyone else calling THAT a tablet yet). The main technical specifications of the two Surface tablets are tabulated below.